Ferrari is readying a LaFerrari-based model to celebrate the brand's 70th anniversary this year. Patent images, which were filed by Ferrari on 5 August 2016 and made public on 20 February 2017, show a familiar LaFerrari shape but with some futuristic styling elements such as thin headlights, a revised front-end and larger air intakes. The name on the patent application is Flavio Manzoni, head of Ferrari design and architect of the 488 and the original LaFerrari. The new car is likely to sit alongside the special edition models already revealed to honour this landmark year for the Italian car maker. A LaFerrari special edition is likely to use the same powertrain as the standard hypercar - a naturally aspirated 6.3-litre V12 engine with an electric motor and battery pack for a combined 950bhp. The LaFerrari can accelerate from 0-62mph in less than 3.0sec and reach a top speed of more than 217mph. 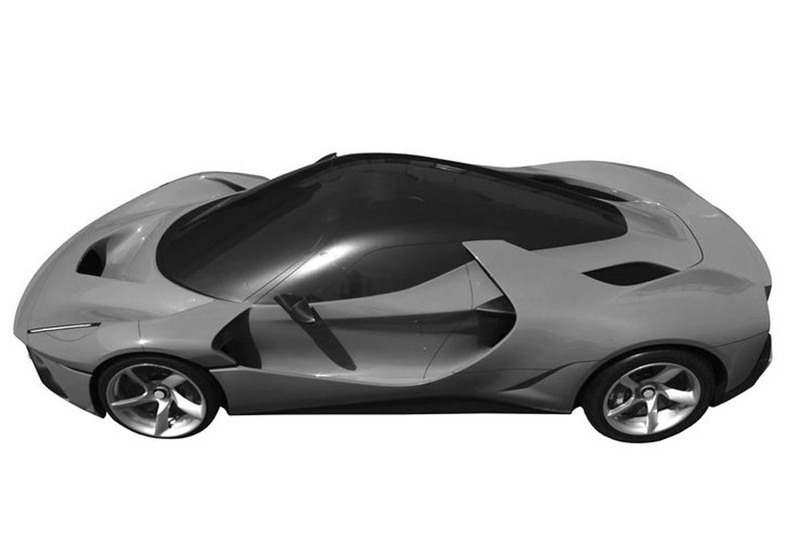 The LaFerrari-based anniversary model would be created at Ferrari’s Special Projects division. Recently, the in-house design department created the one-off SP275 RW Competizione, which was based on the F12tdf. It has much of the same technology as the F12 it's based on, but has some revised exterior styling to set it apart, such as a tweaked front-end design. Ferrari Special Projects has also unveiled the 488 Spider-based J50, which celebrated 50 years of Ferrari cars in Japan. Just 10 examples were produced, with an increased power output and targa roof. There is no official comment from Ferrari on these new patent images. A real celebration of Ferrari heritage.